Today's enterprise leaders are looking for a way to make apps run faster, IT management cheaper, and provisioning easier. The advent of hyper-converged infrastructure (HCI) has meant that organizations can now get much more out of their hardware than ever before. 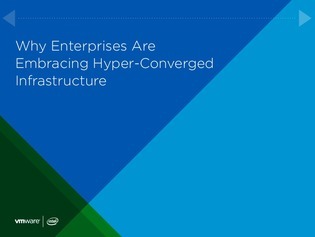 Read on to find out how and why enterprises are embracing this new hyper-converged infrastructure.